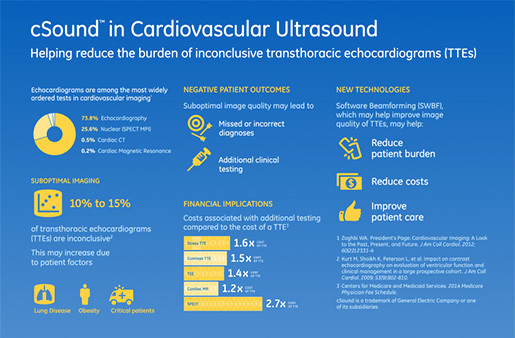 Thank you for requesting the cSound™ Infographic, showing why cSound software-beamforming technology on the GE Vivid™ E95 Cardiovascular Ultrasound system helps reduce inconclusive TTEs. © 2018 General Electric Company - All rights reserved. GE, GE Monogram and imagination at work are trademarks of General Electric Company.